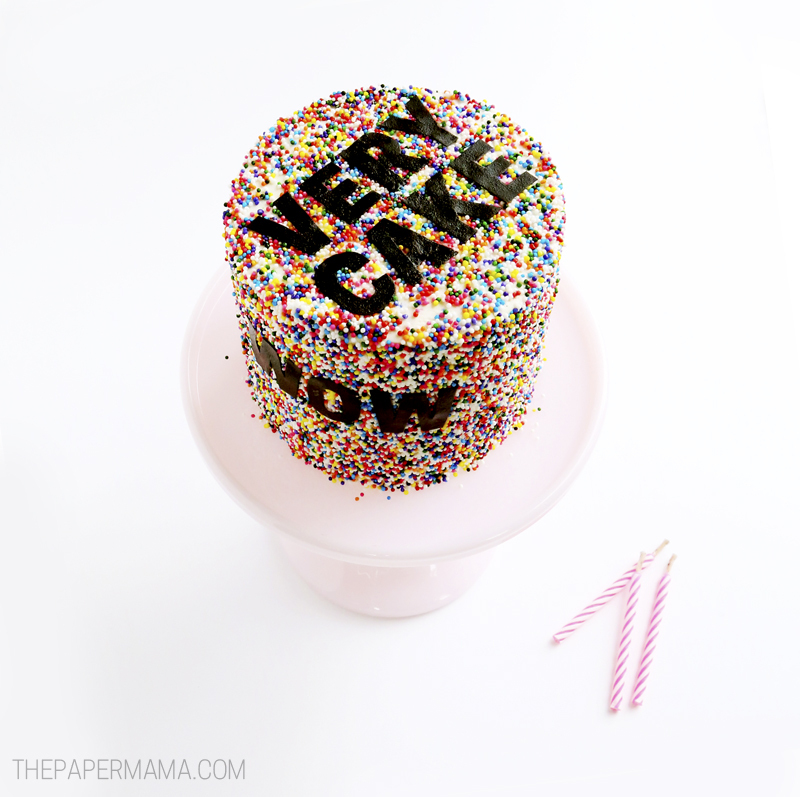 DIY Meme Cakes - With Free Printables! I love a good meme. They are just so funny and a great way to brighten up someone’s day with a good laugh. I don’t know when meme’s really started to appear on the internets, but I do remember the first one I noticed and shared. It was a fuzzy little kitty with it’s mouth open and it said, “I can has cheezburger?” I shared that thing on MySpace. Yup, MySpace. And that was the start of my love for meme’s. Since that time I have shared hundreds, if not more, of meme’s around the Internet and with friends. To celebrate my love for meme’s, and the start of party time this summer, I created these DIY Meme Cakes! 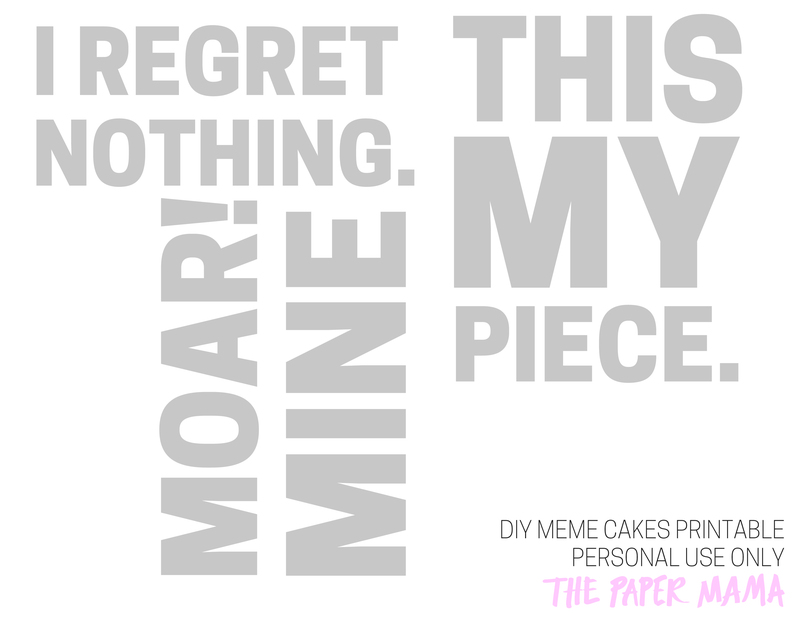 I stumbled across some edible paper at Michaels and this idea popped up in my head, what if I covered cakes in some of my favorite meme quotes? There are so many good meme’s out there and they work perfect on a cake. 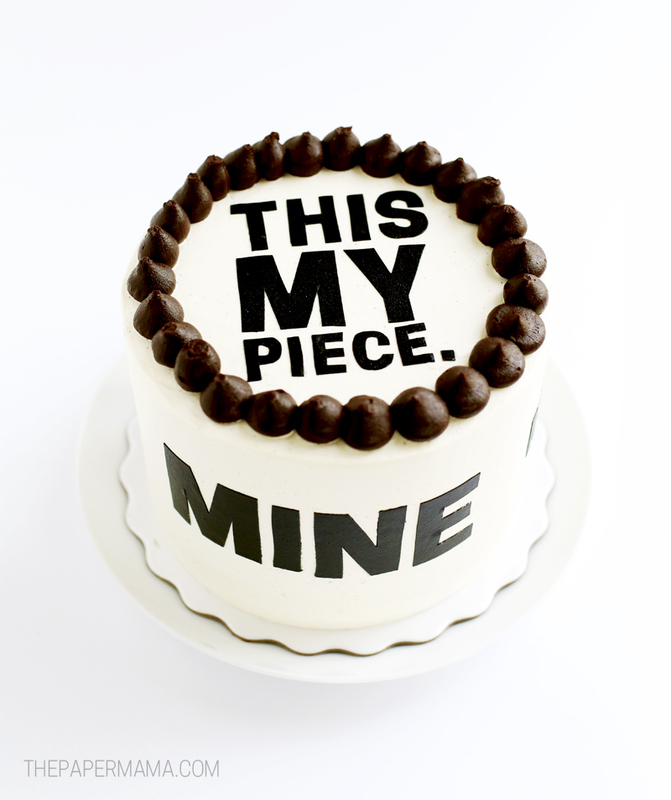 My black and white cake is covered in random food meme quotes… Well, “This my piece” isn’t really a quote, it just seemed appropriate since I want to eat that whole cake and not share. 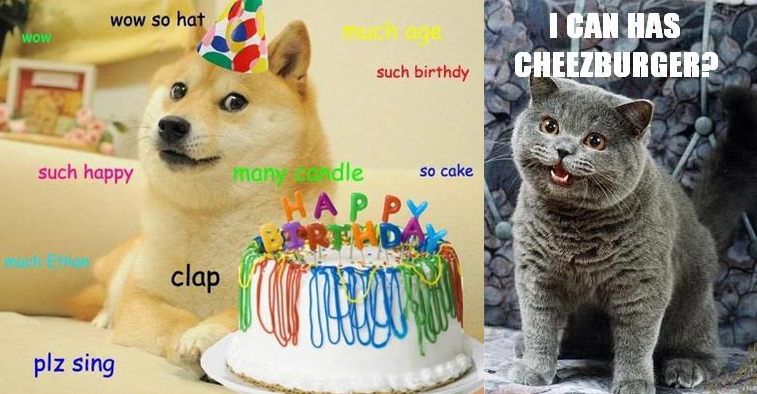 The little sprinkle cake is covered in Doge meme’s (check out the dog below). It was a little too small to add too much, but I love it. 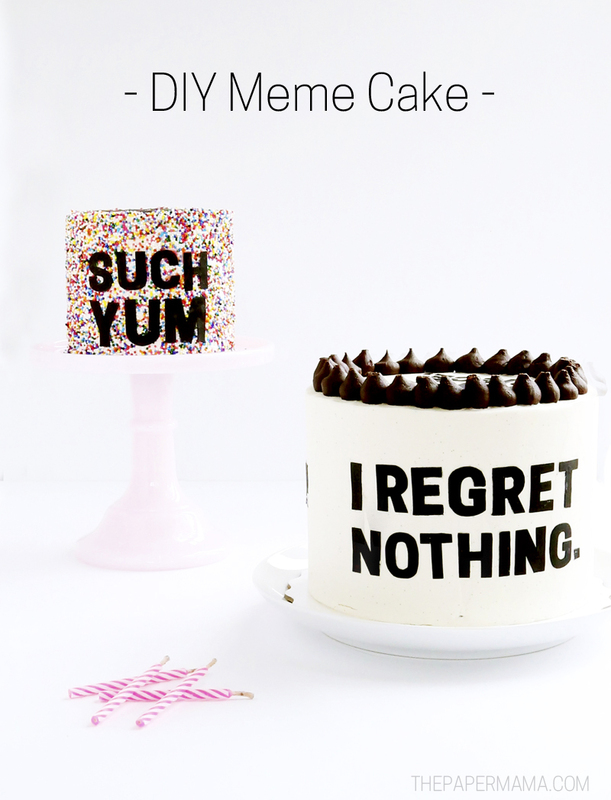 Want to make your own DIY Meme Cakes? Step 1: Print out your meme’s in bold font. 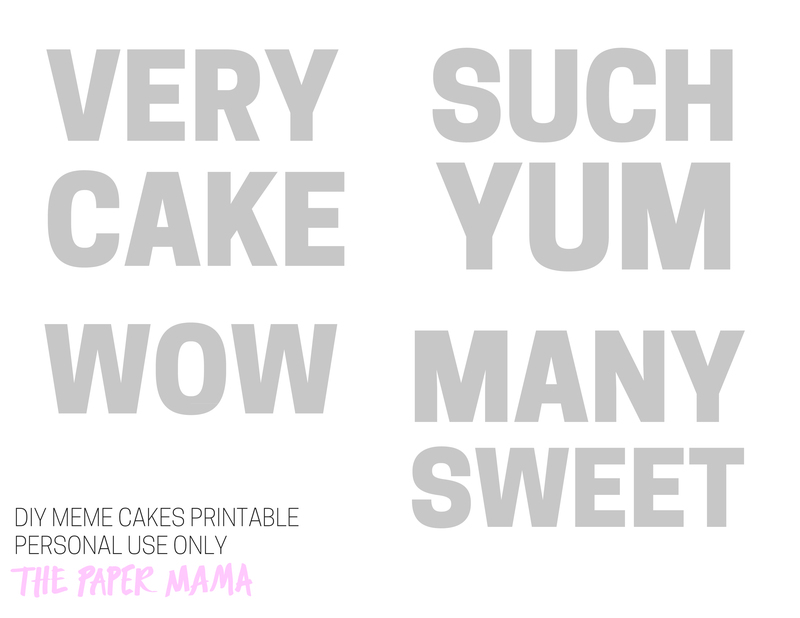 You can use my free printables (black and white cake printable, and sprinkle cake printable), or make your own using a bold font in a word document. Tip: Make sure the words will fit on the cake before you move on to the next step. Step 2: Peel and cut out a piece of edible paper. Cut out the letters, but not along the edge. 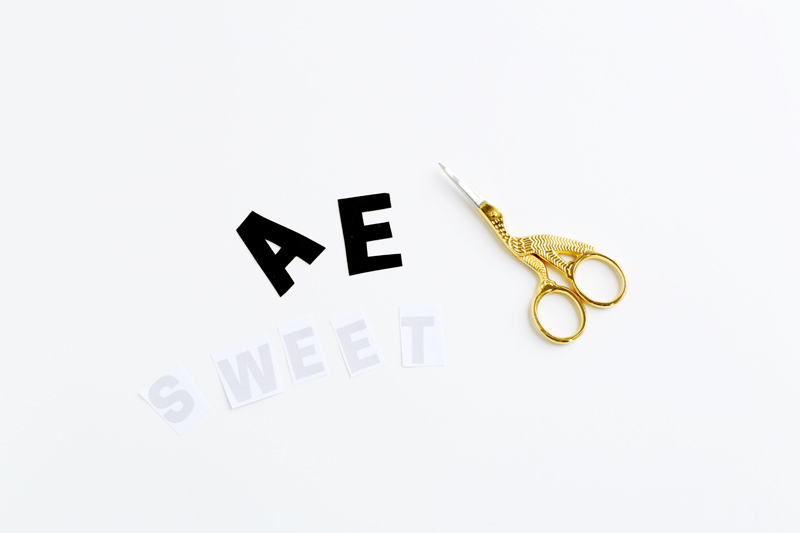 Place the cut out letter onto the matte side of edible paper and cut along the letter with your scissors. Note: The shiny side of the edible paper will stick to the cake. Step 3: When your letters are all cut out, let’s start adding them to the cake! The frosting needs to be soft or sticky to work. 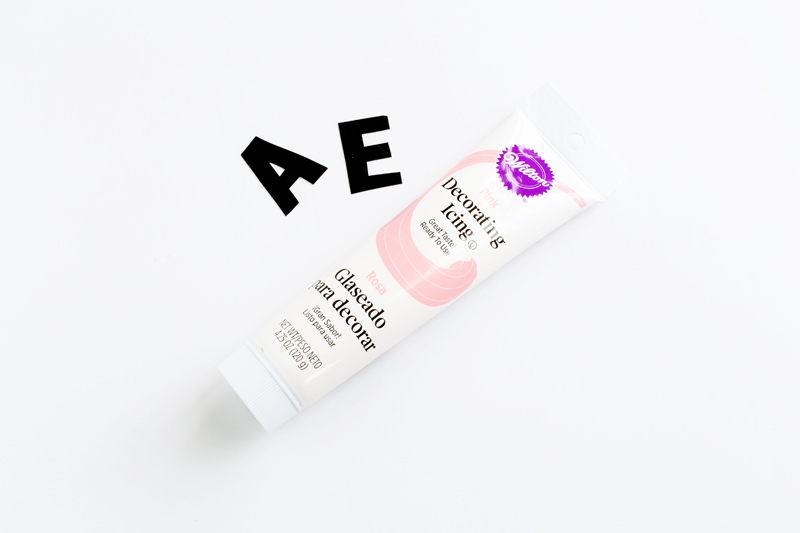 I also recommend smooth frosting. If the frosting has hardened or dried, you can spritz a light layer of water onto the cake before you add the letters. That will help them stick. If the letters aren’t sticking (they didn’t stick to my sprinkle cake on their own), use some frosting as glue to attach! It works. Note: The coloring in the edible paper will start to drip if you put too much water on the cake. If this happens, use a little tissue to soak up the drip. Another note, this paper will harden the longer it’s exposed to the air. Don’t leave them out for too long before applying to your cake. Okay! You’re done! If you make these cakes, I want to see them. Please. Tag me in a photo on Facebook or Instagram! FYI: these amazing and pretty cakes were not made by me, because if the were they would be lopsided and sad. Ha! I picked them up from one of my favorite sweet spots in Portland, The Cakery. Seriously check them out. P.S. I was provided with a Michaels gift card to create this post for you. All opinions are my own. From paper crafts, party goods and baking supplies to new outdoor lighting, glass and floral, Michaels is your DIY destination for all of your summer celebrations.